4. Manners Assignment . . . . . 5. 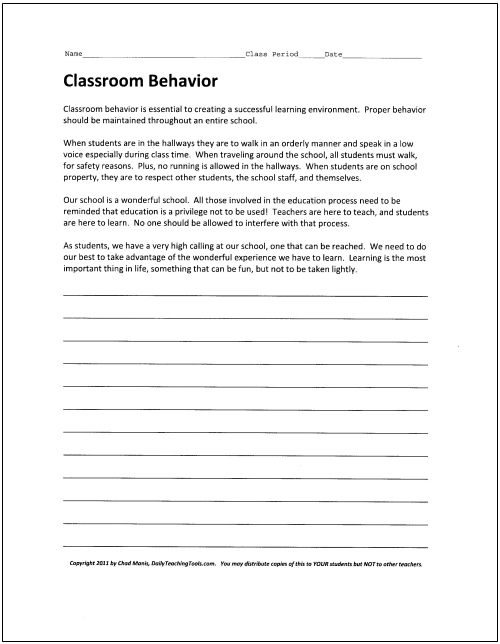 Classroom Behavior Assignment . . . . . 6. Learning from ... When you are late to class, you are not being considerate of others.